One Man Army is a free shooting game for Windows 8 and 8.1 computers. Developed and released by Zekab, this is an amazing shooting game. You are on a solo mission, and you have to take care of the missions on your own. Only you were able to successfully make it across the enemy lines, so its just you out there. Commander Rodriguez operated terrorists forces, and he is up to something big. He being a great threat to your country, you are the only hope. 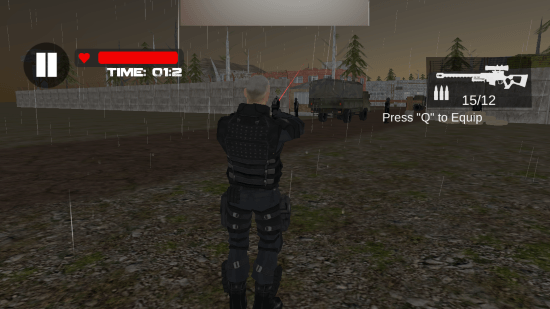 There is no backup, no plan B, so just get in there and finish your missions as a one man army in this shooting game for Windows 8. This 36.1 MB shooting game for Windows 8 is available at Windows App Store. Click on the Download link below this article to reach the download page. Click Install on the download page to download and install this game automatically. 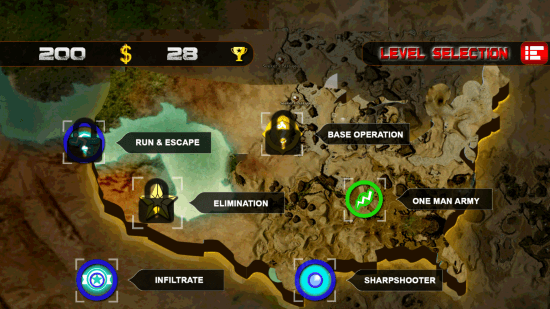 To play this shooting game for Windows 8 you need to select a mission first. The missions are displayed on the map screen. The first mission is unlocked by default in this game. Successfully finish a level to go to the other level. When you start a mission, you are debriefed about it in a popup. You will be rewarded for every mission you finish. View the reward amount on the pop up. Click on Start Mission to begin playing the game. 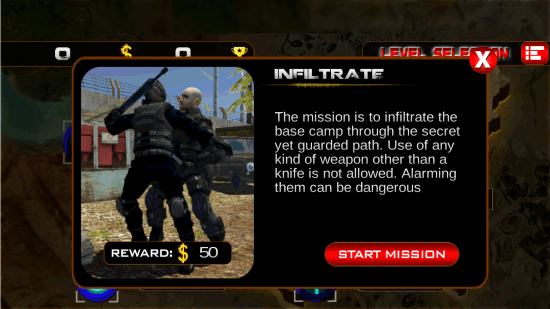 The first two missions are stealth missions, and you need not carry a gun to eliminate your targets. Press E to stab your target with a knife. 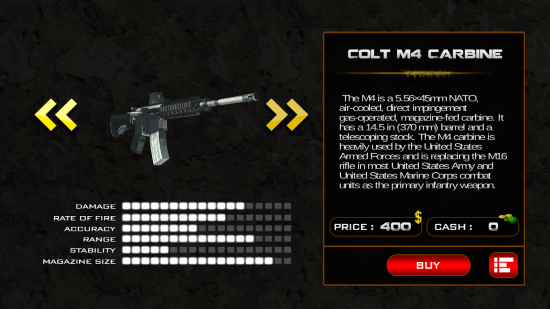 The third mission needs rifles and guns to be completed in this shooting game for Windows 8. Go to the Inventory to buy guns. The gun stats can be viewed easily. Click on BUY to buy the gun you are viewing. You can tag your target with the help of laser light. Press Q to equip the gun. The shooting levels include shooting the enemies at the entrance of the fortress. 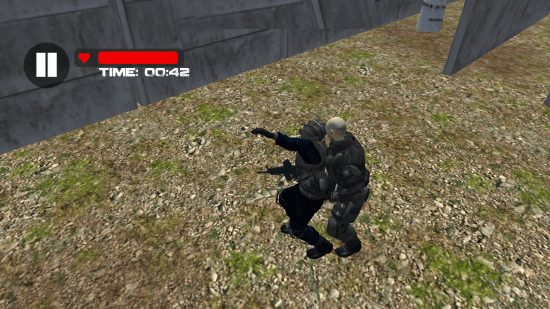 Take down all 4 targets to complete the mission, and proceed further. 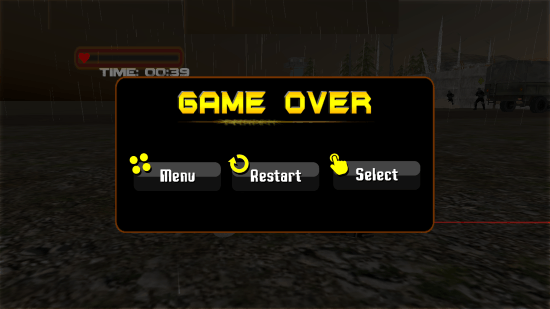 If you die, you can start the mission over, or go back to the main menu to play another level of this shooting game for Windows 8. This shooting game for Windows 8 is a good package as the graphics is pretty neat, and the sound effect is realistic. The game has a glitch, but it ran smooth after that glitch. 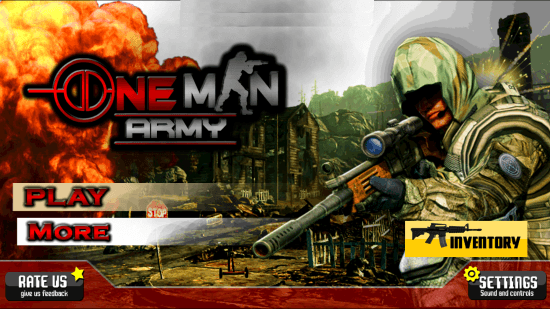 Download One Man Army for Windows 8 and 8.1 computers.